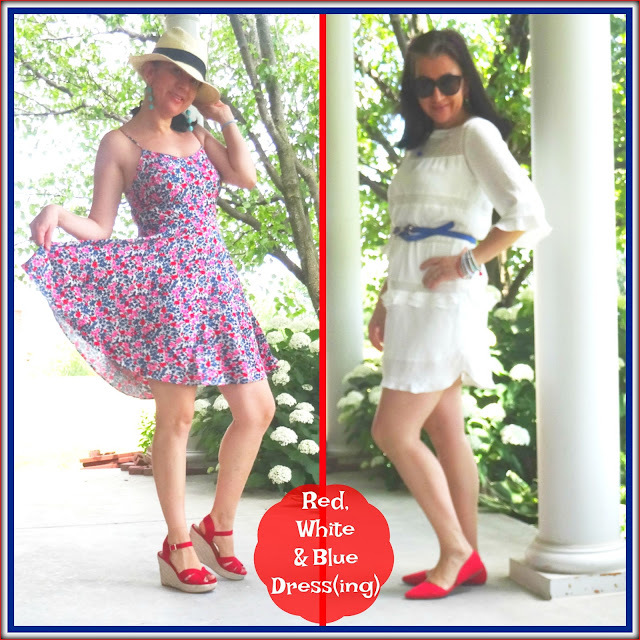 Thursday Moda #73: Red, White and Blue Dress(ing) (Looks 25 & 26). Good Morning everyone. 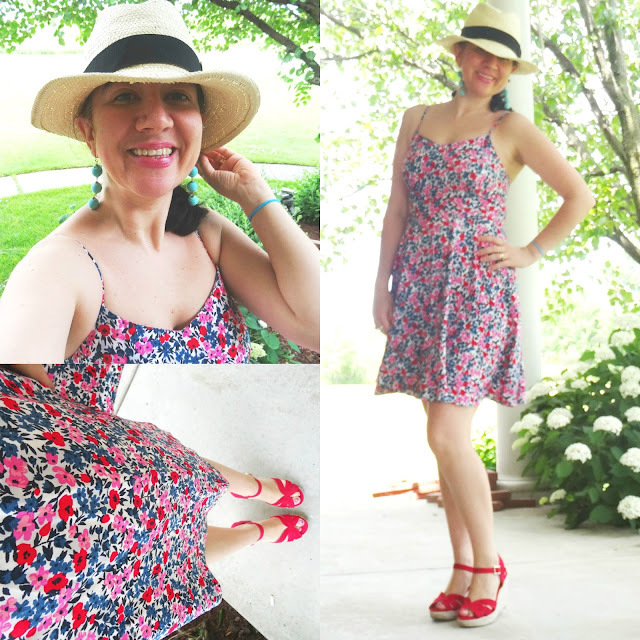 I titled today's post "Red, White and Blue Dress(ing)" because I am wearing two dresses (dress-ing, get it) and my entire outfits are in three colors: red, white and blue. 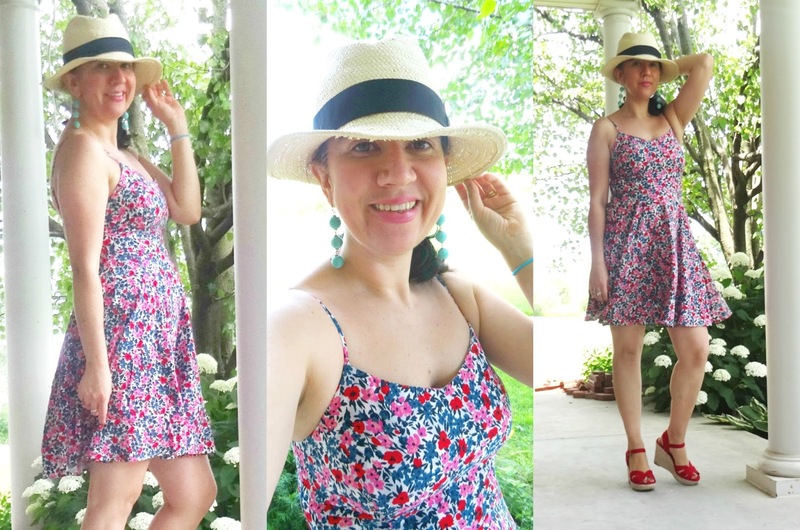 Which is fitting, because I wore both of these outfits during my 4th of July weekend off and these two dresses are both from the capsule wardrobe. You have seen the Old Navy Floral Dress here paired with a Light Wash Denim Bomber and my Laceup Faux Suede Camel Block Heel Sandals (and the same Turquoise Crispin Earrings, as today). And I have worn the Who What Wear Tiered Little White Dress here, previously worn with Bow Flat Slides. You will notice from both of these outfits, I paired them with Red Shoes. Since my second dress is white, I added a Fun Royal Blue Bow Belt to it for a White Outfit accessorized with red and blue. Pink/Red/Cobalt/White Small Floral Print Cami Dress w/ A-line Skirt: Old Navy (identical dress, different print, Huge Steal), (similar, Steal, love this), (similar pretty floral, Great Deal, my Favorite), (same in gorgeous red floral print, love this). Neutral/Ivory Woven Panama Hat w/ Wide Black Ribbon: Merona via Target (very similar, on Sale, love this), (quite similar, Great Deal, my Favorite), (similar current option by Target, Steal), (similar from Target w/ colorful striped ribbon, perfectly Summery, Huge Steal, love this). Turqouise Crispin (Pom Pom) Dangly Earrings: Sugarfix by Bauble Bar via Target (New) (almost identical, Great Deal), (similar in tiny beads in blush pink, Steal, love these), (similar in red ombre, on Sale, my Favorite), (quite similar in turquoise, Small Splurge). Off-White Tiered Silky Ruffled Sheath w/ Elbow-Length Sleeves: Who What Wear via Target (very similar, Splurge, love this), (similar boho sleeveless version, Steal, love this), (similar cocktail style, on Huge Sale), (similar lace dressy option, Small Splurge, love this), (similar midi option, on Sale, my Favorite). Royal Blue Faux Leather Belt w/ Blue Metallic Bow: c/o A Boutique in Albania (great option in light blue, Steal, love this), (quite similar, Splurge), (similar, on Sale, my Favorite). Dark Gray Marble Oversized Sunglasses: Old Navy (New) (similar club-master, Steal, love+want these), (similar cat-eye, Great Deal), (similar, Splurge), (similar, on Huge Sale, my Favorite). Lavender Small Crystal Skinny Rectangle Barrette: Old (similar in leather, Steal, love this), (similar, Great Deal, My Favorite), (quite similar, Splurge). 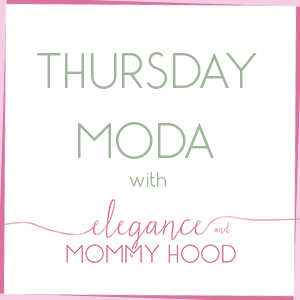 Redish-Pink Perfectly-Square Stud Earrings: Kate Spade (identical, Great Deal + I love them! ), (similar in red, Huge Steal), (similar in iredescent pink, love these), (similar mini option). Sterling Silver Dainty Chain Necklace w/ Royal Blue Fireball Charm: Jewelry Store in Albania (very similar w/ different teams' logos), (gorgeous option w/ healing stone, Steal, love this), (similar, Splurge, love this), (similar in gold, Huge Splurge, my Favorite). Set of 3 Silver-Tone Woven Bracelets w/ Pave Circles: The Limited (similar cuff w/ pearls, Steal, love this), (very similar w/ amethyst stones, Splurge, love this), (very similar w/ multi-colored crystals, Splurge, my Favorite). White + Turquoise Stretchy, Plastic Beaded Bracelets (part of a set): Sugarfix by Baublebar via Target (New) (similar w/ tassels, come in several colors, Steal), (similar great options in many colors like mint, neon orange, yellow, turquoise or pale pink, Fantastic Deal, my Favorite), (similar current set by Baublebar, on Sale, love this). Red Faux Suede D'Orsay Flats: Charlotte Russe (very similar), (similar perforated option, on Sale, my Favorite), (quite similar, Great Deal), (similar w/ ankle strap, Splurge, love these). I am actually writing this post this morning and I am running super late so no favorites this week. Stay tuned for the favorites next week. 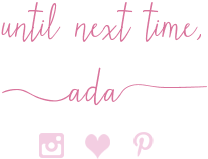 And also my linkup next week will be open a day early and it will go live a day early, on Wednesday morning at 6.00 AM Eastern time, on July 26th.